These and other common sayings may make it seem like a smart business move to conduct criminal background checks of all job applicants and exclude any applicant who has ever been arrested for, or convicted of, any crime in the past. Why hire a person with a criminal record when, surely, there are applicants out there with unblemished records? 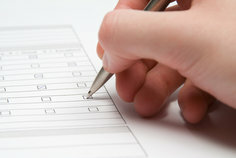 In reality, however, the issue of job applicant criminal background checks is a complicated one. It is not illegal to conduct a criminal background check, but employers must be careful about how they use the results of these background checks to exclude applicants. In some cases, it may be illegal discrimination for an employer to exclude an applicant because of the results of the background check. For example, in January 2012, the U.S. Equal Employment Opportunity Commission (EEOC) reached a settlement with Pepsi Beverages regarding this precise issue. Pepsi had a policy and practice of excluding job applicants who had arrest records but no convictions, as well as excluding applicants with convictions for minor crimes along with applicants convicted of more serious offenses. The EEOC’s investigation determined that Pepsi’s policy unfairly excluded a higher number of African Americans from the job applicant pool. Pepsi reached a settlement with the EEOC – making financial payments to affected job applicants, offering jobs to qualified applicants who had previously been excluded, and changing its background check policy. The EEOC’s guidance on criminal background checks for job applicants is as follows: Generally, any criterion used to screen job applicants must be relevant to the applicant’s ability to perform the job in question. An arrest record is rarely, if ever, relevant because under American law, everyone is innocent until proven guilty. Convictions for minor crimes may also be irrelevant and should not be considered. As an example, a conviction for underage drinking may not be relevant, unless the person is applying for a bartender job where he or she has the responsibility to check identification. Convictions in the distant past are rarely, if ever, relevant to an applicant’s ability to perform a job unless the conviction relates to the job in question. For example, a conviction 20 years ago for writing one bad check may not be relevant to a job as a lifeguard. However, if the job is for a position in a bank, then the conviction may still be relevant to the applicant’s ability to perform that job honestly. Business owners and hiring managers are expected to make their workplaces safe and staffed by honest, trustworthy employees. It is important, however, for employers to make sure that it uses the results of job applicant background checks in a fair manner to prevent illegal discrimination.